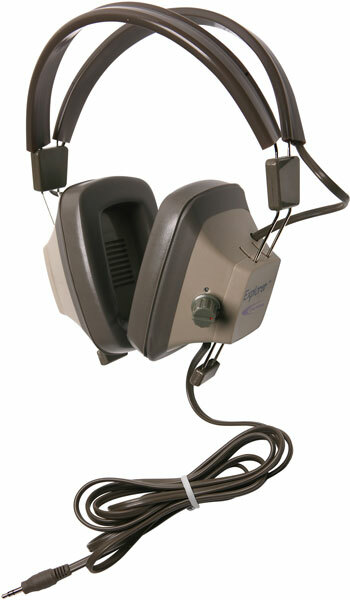 These EH-3SV stereo headphones come with a 6' replaceable cord that can withstand 250,000 flexes. The hypo-allergenic (no latex) replaceable ear cushions are a perfect fit for sensitive ears, and are easy to clean. Has extra deep earcups for added comfort that makes any extended listening experience more enjoyable, by minimizing external noises. Has a fully adjustable headstrap that adjusts to varying needs based on the user's preference. With the perfect combination of comfort and durability, these dynamic headphones are the perfect solution to all your listening needs in classrooms, listening-labs, and more. • 6 ft. replaceable cord. • Steel-reinforced headband and easy-to-clean cushions provide durability and lightweight comfort. • Designed for comfortable wear by children and adults alike.